This is my signature cake, a little different from the usual ones and is the most easiest and fun to prepare! Every time I bake this cake and take it to get-togethers or parties, one of my Pakistani friends asks for the recipe and everytime I promise that I would email it to her. The demand for the recipe grew everytime. And then I started blogging, thought of posting this recipe for her. But somehow it never worked out... Zille, this is for u :) Sorry, tumhain kuch zyaada hi wait karna padaa yaar ! Well, I really have to share my experience while capturing this.When I was taking pictures of this cake, and was wondering what to use for props and background, made few changes here and there and finally got settled with only the cake pieces at the background and a single piece projecting ! It was my 5 yr old son who suggested that I should include a cup of tea as well. He pointed out his finger to a place and said "Place a cup of tea here Mamma"! It was purely and only for his sake and to make him happy that I prepared a tea and added in the background. The outcome was really amazing and I must say, it definitely enhanced the mood of the pic. Why didn't it occur to me in the first place ? Looks like I now I have an additional little member to discuss about food photography and tips :) Sometimes even these little ones are so helpful and give unexpected advices and suggestions which we never think of ! 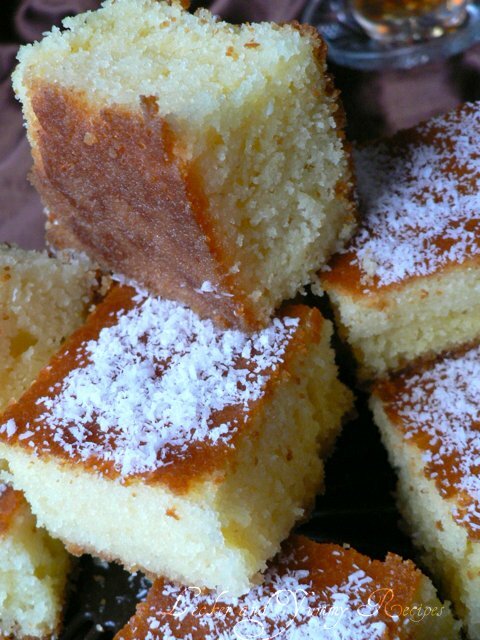 This is a very easy cake, made of sweet semolina and yogurt as prime ingredients. 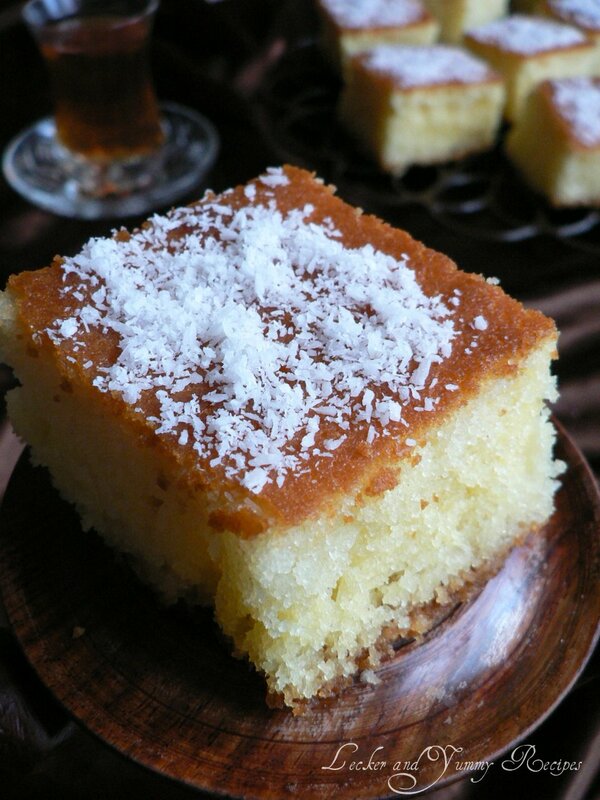 Its called Revani in Turkish and Basboosa in Middle East. 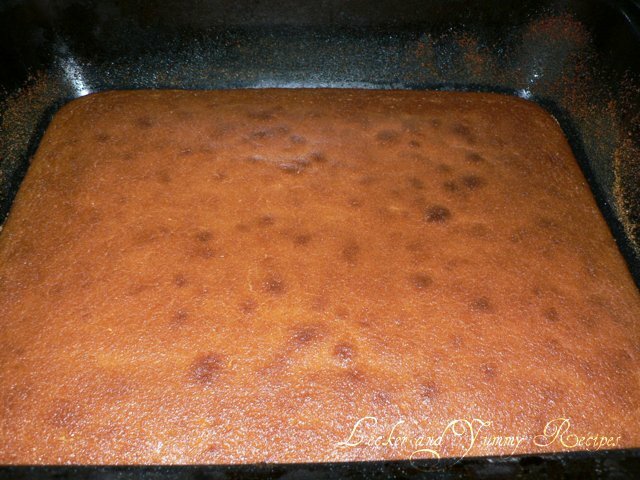 The sugar syrup poured over the finished cake makes this cake so soft and juicy. And nobody could figure out that its a "non-flour" cake ! I had baked this atleast about 20 times and everytime it comes out perfect…..you can never go wrong with this recipe ! Lemon juice of 1 lemon. 1. 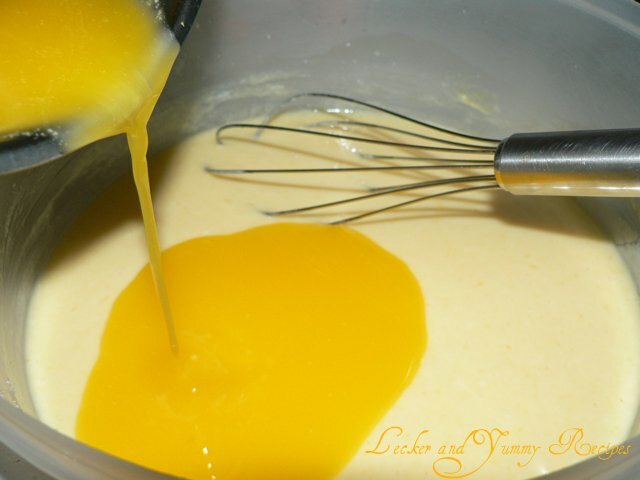 Mix and combine together Yogurt, eggs, 200 gms sugar and the essence in a large bowl. 2. Melt the butter separately and allow it to cool for about 5-7 minutes. 3. 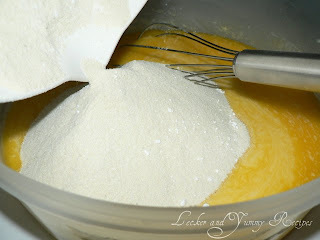 Add the butter to the Yogurt mixture and mix well without forming any lumps, until the sugar is fully dissolved. 4. 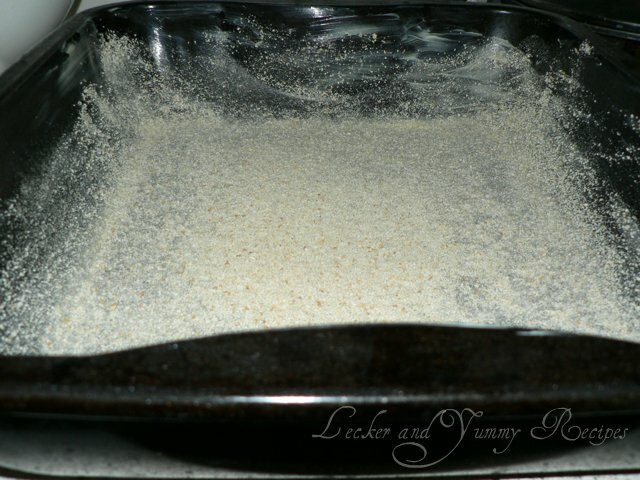 Mix the Semolina and the baking powder and add to the Yogurt-Butter mixture. Beat well. 6. Pour over the prepared batter. 7. 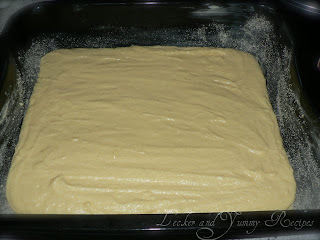 Preheat the oven to 175°C and bake the cake for about 45 minutes until it turns golden brown. (This time may vary slightly according to the depth of the tin used. So watch out for the golden browning or insert a skewer to check out if its comes out clean). 8. Meanwhile prepare the syrup by dissolving 400 gms of sugar in 750 ml water and bring it to a boil. Cook for a further 5 minutes. Now add the lemon juice and let it boil for another 2 minutes. Then set aside for cooling. 9. When the cake is done, allow it to cool on a wirerack for about 5 minutes and then slowly and in parts pour the sugar syrup evenly all over the cake. Allow it to seep down and soak for about half an hour. 10. 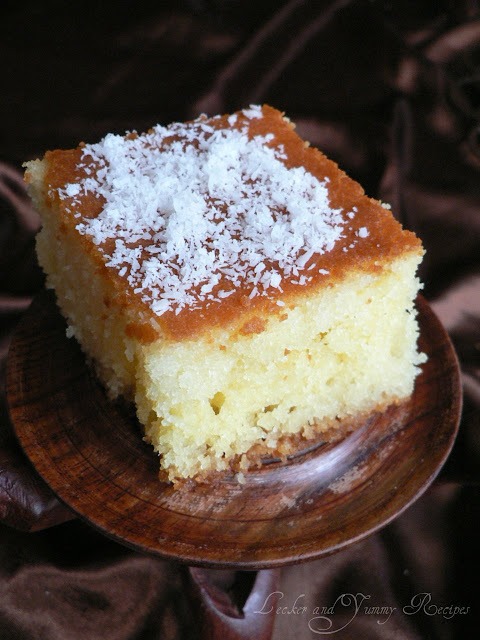 Cut into small squares, sprinkle dry coconut flakes for decor. 11. 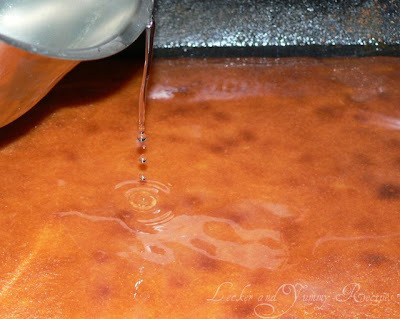 The bread crumbs at the bottom form a beautiful brown crust matching the golden brown surface and gets soaked in the syrup to become juicier. Note : Stays good for about 3 days at room temperature in an air-tight container. I love this! I will give it a try! Even though I live in Middle East I've never tried Basboosa for the high sugar content.This cake being flourless really piqued my interest.It looks lovely.Bookmarking this to try it sans the sugar. 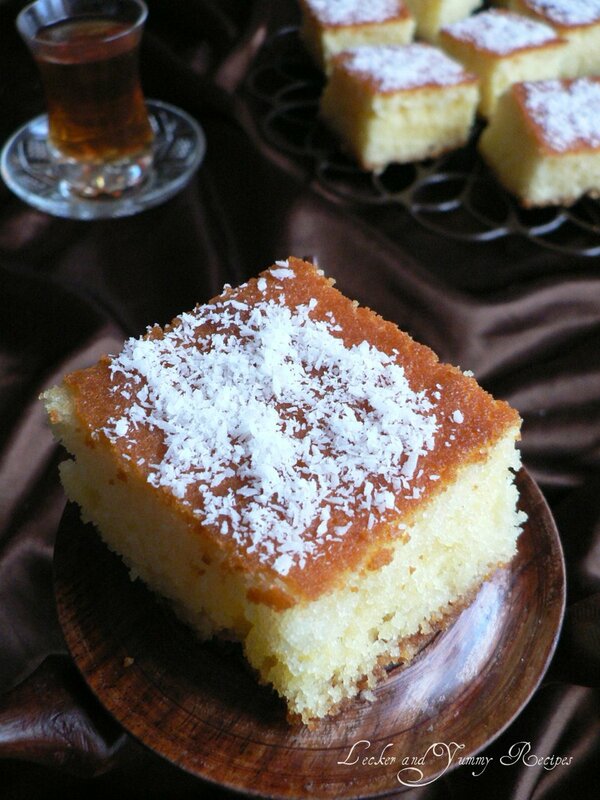 So, this is the ultimate cake Zille had been raving about:) Looks divine!! !I hope Ill be getting my share as soon Zille returns;)??? Yes Fatima, poor zille had to wait for this cake for about 4 yrs....so bad of me naaa :) anyways, better late than never ;) ...You will definitely get ur share inshaAllah when u come over. 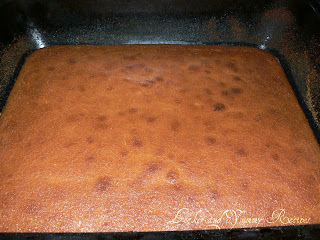 I have tried basbousa recipe before but it did'nt turn out good. Your recipe is inspiring me to try it again.Will let u knw the results soon. Hi, tried ur recipe.was really yummy.perfect. accurate measurements.I tried with half measurement and instead of sugar syrup I added honey and water syrup.Crust again I had taken wholemeal bread.Made Basbousa in cupcakes mould.Result more that good on 1st trial. After a long time I felt to try someone's recipe from the blog. 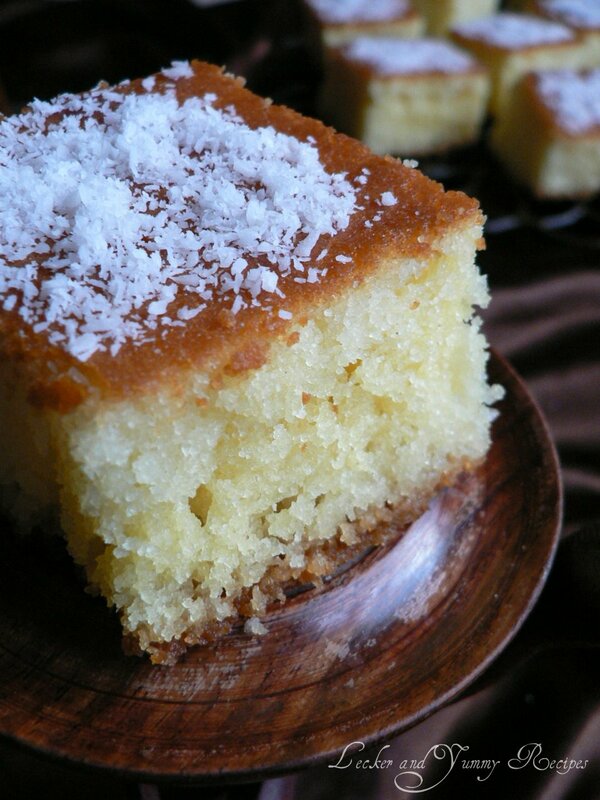 Secondly with your permission I would like to set a link for Basbousa recipe on my Blog. 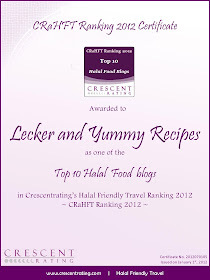 (It will be displayed on links section)with comments ofcourse praises for the recipe. Signature recipe is awesome and inspiring me to make it as soon as possible. I wonder why I didn't met you before.